Atlanticoline - View timetables, Compare and book ferry tickets at directferries.ie. 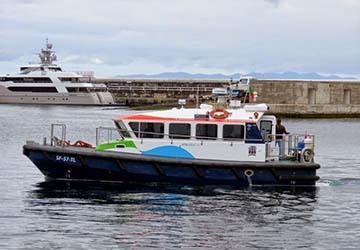 Becoming the most successful maritime operator based in the Azores in 2009, having transported 112,000 passengers, the company consistently carries over 100,000 each year. 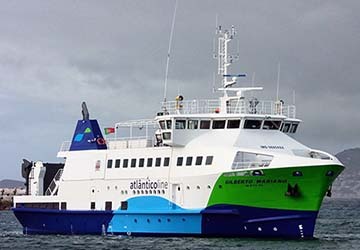 Atlanticoline began in 2005 with the ship Ilha Azul, which was soon replaced by three modern ferries named Hellenic Wind, Express Santorini and Ariel. Hellenic Wind and Express Santorini operate from May to September, while the Ariel sails all year round. On board the Atlantico line ships you’ll find a café/bar serving hot and cold meals as well as a shop where you can buy perfume and chocolates. Seating is available for all passengers. 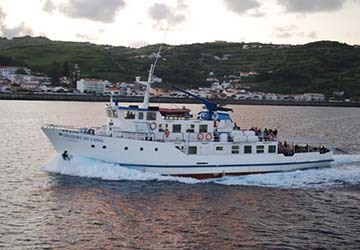 The islands are spread across an area of about six hundred kilometres, roughly one thousand five hundred kilometres west of mainland Portugal and four thousand kilometres east of New York, so travelling by ferry as an ideal way to get around. With directferries.ie you can find Atlanticoline timetables, fares and book Atlanticoline ferry tickets. Where applicable we’ll also compare Atlanticoline with alternative ferry companies.